940 WFAW AND KOOL 106.5 ARE YOUR HOMES FOR AREA HIGH SCHOOL SPORTS AND NASCAR! Together we bring you the latest from our area high schools and from the racetrack! Don’t have a radio handy? We’ve got you covered! Just go back to the homepage and click on the Listen Live button at the top of the page to listen to either KOOL 106.5 or 940 WFAW! 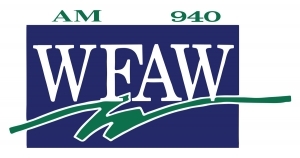 Follow us on Twitter @940wfaw for the latest sports scores and headlines from your favorite local teams!